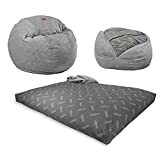 This cool new CordaRoy is an ingenious bean bag chair that can quickly convert into a king-sized bed. 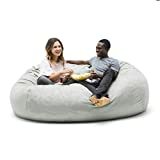 While at first glance it may appear to be a normal bean bag chair, it secretly hides a giant foam cushion on the inside which can be accessed just by unzipping the cover and flipping it out. When you're ready to go back to sitting, just fold the cushion and slide it back into the cover. 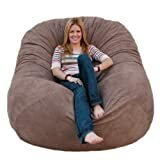 It features a super soft plush, dimpled microfiber cover, furniture-grade foam filling, and a washer-safe cover. 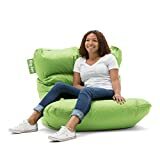 Perfect for living rooms, bedrooms, the office, playrooms, and especially guest rooms when you need an extra bed big enough to fit two adults. Also available in additional sizes and colors. 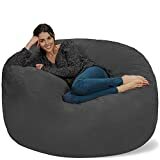 Perfect for a living room, guest room, bedroom, man cave, office, playroom, basement, and more! King bed sleeps 2 adults - 76" x 80" x 10"